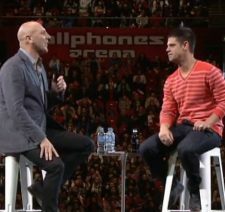 A warning about Hillsong’s Facebook marketing ‘con job’. (Churchwatch Central) Brian Houston often says that it’s by the grace of God he is where he is today. This is completely fraudulent on so many levels. With that in mind and given its wordwide impact, it is worth examining the marketing arm of Hillsong. While biblical Christianity trusts that Jesus will grow His church through the preaching of His gospel, Hillsong has relied heavily on marketing research and innovations to grow their empire. In this example, we highlight their latest marketing ploy. If you are on Facebook, have you seen this ad put out by Hillsong?